Published February 14, 2011 at 1275 × 1753 in Art. This is a painting I designed to be a cover for one of our books, “God’s Word Through History.” The production of God’s word into written form and the translation of it into languages came at a great cost. Many people gave up their lives for what we are privileged to have today. This is represented by the background of fire. 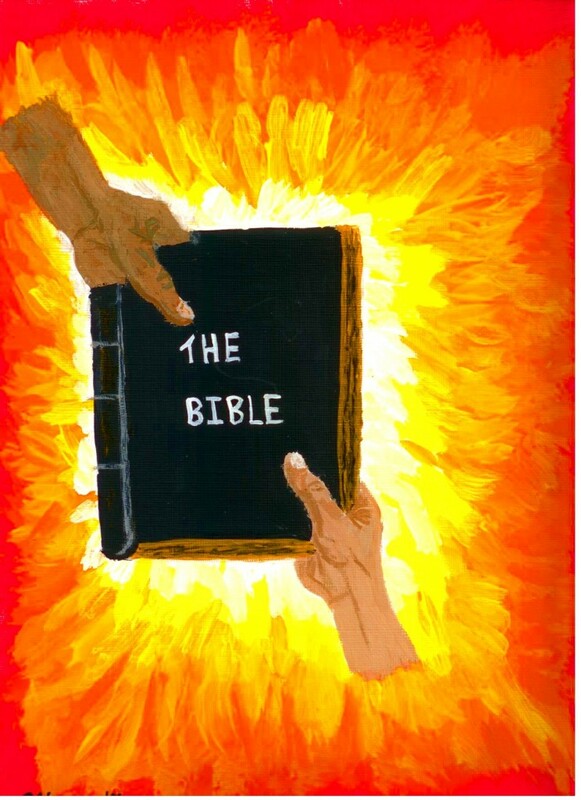 The Holy Bible is meant for all people, no matter what color, race, status etc., thus the two different hands are different colors. You can request this book “God’s Word Through History” free of charge, by sending us an e-mail.